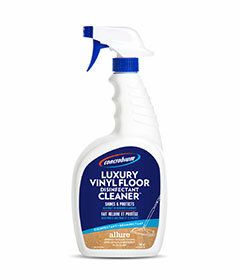 Concrobium® Luxury Vinyl Floor Disinfectant Cleaner™ cleans and restores floors to their original lustre while leaving behind a streak-free finish. 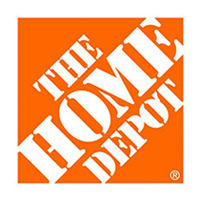 The high performance formula removes dirt, grime, dust, scuffs and spots from almost any type of hard flooring. Regular use of this product contributes to a healthy home environment by reducing the allergens that can collect on floors. sealed cork and other hard flooring surfaces. Can be used in spray mops. For use in domestic settings. Directions: Always test on an inconspicuous area first. Spray directly onto floor. TO DISINFECT: Allow surface to remain wet for 5 mins. Pre-clean heavily soiled areas. Mop/wipe area thoroughly with a clean, dry mop or microfiber cloth. Allow to dry completely before walking on the floor. For surfaces that may come into direct contact with children at the mouthing stage of development, a rinse with potable water is recommended.